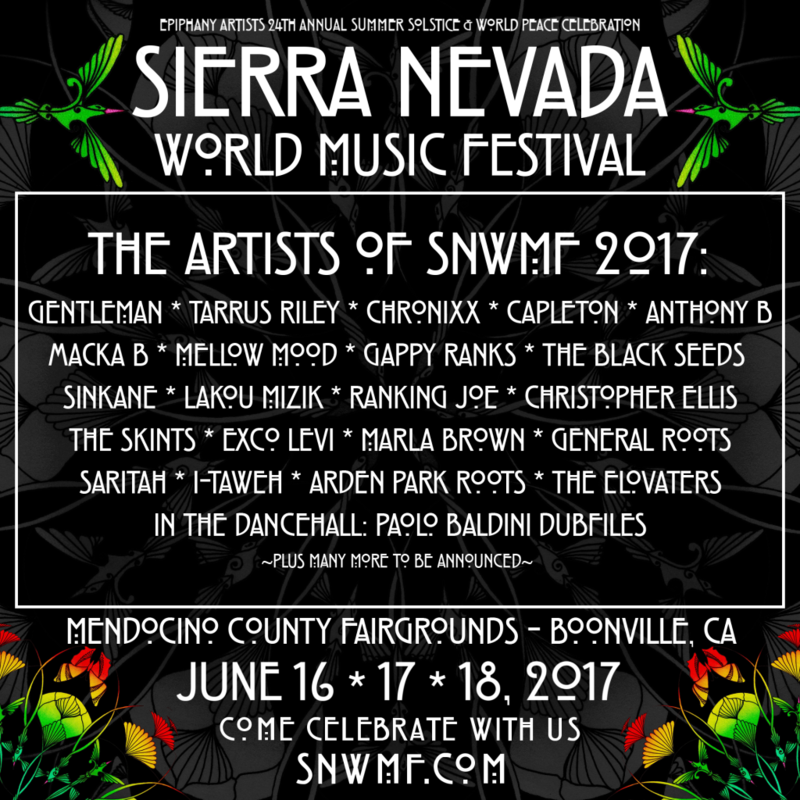 The 24th annual Sierra Nevada World Music Festival is a 3 day family friendly camping event that features the Best in Reggae and World Music. 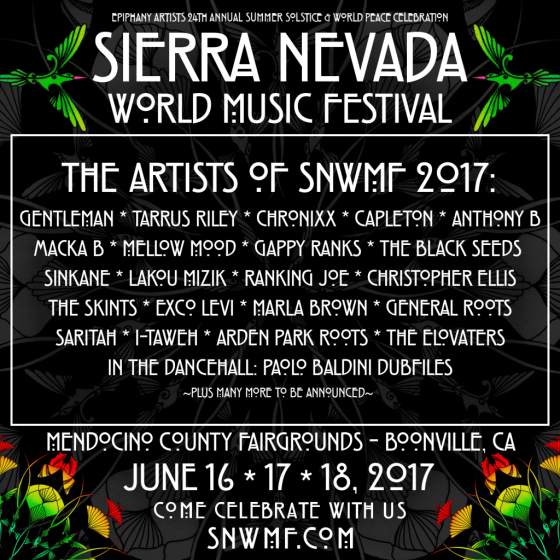 With 2 stages, along with a “Jamaican-style” Late-Night Dance Hall, SNWMF is a great way to kick off your summer. Tickets on Sale now.